Brief Overview: Relax in a comfortable environment and allow yourself to travel on the heartbeat of specially made hand crafted drums. Every ancient society considered the drum sacred. Healers, Shamans, and Medicine People have employed various drum beats to induce altered states of consciousness that promote healing. Where a healing ceremony was taking place, the drum was also often found there. 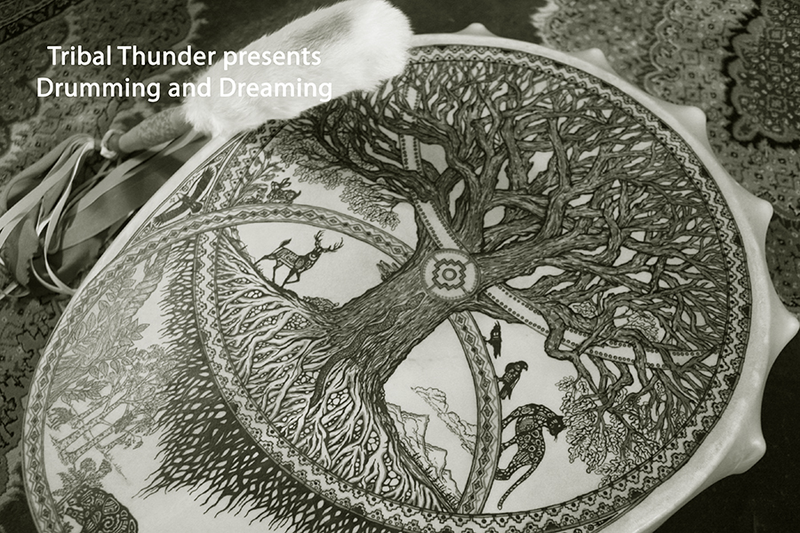 Come explore those healing rhythms in a safe setting where you can lay down comfortably, listen to specially made drums and enter a dream-like state that brings you in contact with your own internal world of the subconscious. These deep states of relaxation are useful for promoting creative thought, problem-solving, improving long-term memory and facilitating positive emotional states. They also help aid the body in restorative processes and boost the immune system by reducing stress and anxiety (according to some clinical research). Bring a mat/blanket/pillow, close your eyes and let the facilitators bring you into a deep dream-like state. Afterwards, your experience can be shared further discussed. Sign up is $30 per participant and payment can be made in person the day of the event. Space is limited so please register in advance, as number of participants is limited for a comfortable group setting. Please contact us if you have any questions.